Allison’s search for a connection uncovers an intricate web of family secrets, corporate transgressions and an age-old rivalry that crosses continents. The closer Allison gets to the truth, the deadlier her quest becomes. All paths lead back to their sinister Finger Lakes estate and the suicide of a woman thirty years earlier. Allison soon realizes the lives of her clients and the safety of those closest to her aren’t the only things at stake. Wendy Tyson’s background in law and psychology has provided inspiration for her mysteries and thrillers. Originally from the Philadelphia area, Wendy has returned to her roots and lives there again with her husband, three kids and two muses, dogs Molly and Driggs. Wendy’s short fiction has appeared in literary journals, including KARAMU, Eclipse, A Literary Journal and Concho River Review. 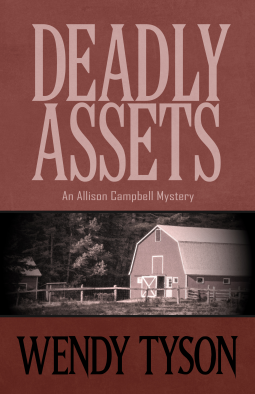 First of all, it’s important to know that Deadly Assets is the second Allison Campbell mystery. When a representative of the publisher contacted me, because I’d reviewed another of author Wendy Tyson’s novels late last year, I was actually sent a copy of book one, Killer Image, as well. I read both books back-to-back over the last few days, and loved them both. Tyson excels at writing mysteries that are grounded in real life, plausible situations. You never feel that her stories are complete fantasy, and some of the chill you get while reading them is because so many of the characters could be people you know. 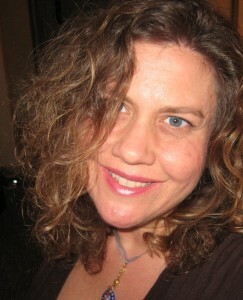 As well, she populates her novels with diverse characters – Allison herself, Allison’s ex-mother-in-law Mia, who is dating Christopher Vaughn (known by his last name) who is also Allison’s colleague in her image consulting firm, and happens to be African-American, and his computer genius brother who happens to be quadriplegic – these are just a few. This makes you really believe that the novels take place in a real version of Pennsylvania. Both novels, and Deadly Assets especially, are also incredibly well plotted. While it’s true that I was able to solve each cast slightly before Allison herself did, that’s only because we, as readers, see a bit more of the big picture than she does as a character. Still, I was never disappointed by any of the twists or turns that took place, and when Allison was in jeopardy, while I knew she was unlikely to die (this is a series, after all) I also knew that Tyson had no qualms about giving her serious injuries. Where Killer Image included the requisite first-novel-in-a-series exposition of character backstory, Deadly Assets focused mainly on the current story. This in no way made the second book hard to follow, as there was enough backstory to understand the flavor of each recurring character. In fact, it could very easily be read as a standalone novel without the reader feeling like anything was missing, though reading them in order will increase your enjoyment, as it did mine. If you’re looking for a mystery series that has believable characters, plausible storylines, and a great mix of character and action – especially if you’re looking for such a series in which women are the crime solvers and not only the victims, you must – must – read Wendy Tyson’s Allison Campbell series. Deadly Assets was just published this week, and I’m already itching for book three. Goes well with a blueberry muffin and a cafe mocha.